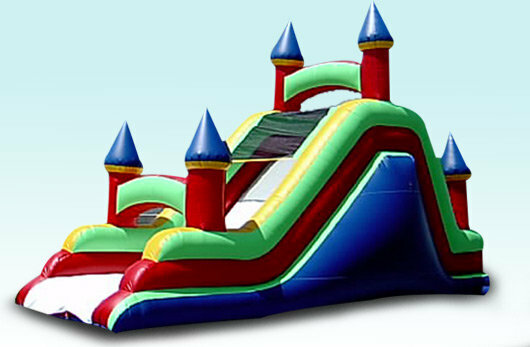 Our Castle slide is 30' of adrenaline pumping fun, climb up the back of the 16' mountain to get a view of your surroundings and slide down the 16' slide to the bottom. Kids or adults will go around and around to do it again and again slides are a must for any event. This is a great slide for any King, Queen, Prince, or Princess. © USA Inflatables and Events. All rights reserved.